Having been advised that academia was not for her Clare went to St Aldate’s Secretarial College in Oxford in 1988. She then went on to work as the Bursars’ Secretary at St Edmund Hall in Oxford for 6 years. After travelling for a year in 1997 she returned to Oxford to work within the University Offices dealing with professorships. This previous experience helped enormously in her role at WPB when she became one of the practice managers in 1999. Clare is often taken as a new member of staff as she is very rarely allowed near the patients. She is usually at the top of the building, hiding from the physios when the computers go down. Janice left school not really knowing what she wanted to do, so took a job at Barclaycard while she decided. She ended up working for there for 27 years! 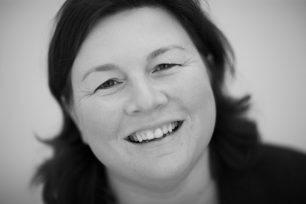 Having gained experience in areas such as fraud prevention, marketing, customer service and auditing she joined Clare at WPB as practice manager in 1999. Unlike Clare she is is allowed out of the office to meet patients, but only for a hour a day to cover lunches in reception!